W is reinventing the way we live and redefining resort-style island living. With just 19 ultra-exclusive villas available for purchase at W Koh Samui Retreat & Residences, you are invited to infuse every moment of your life with the signature touches, services and soul that have made W Hotels such an iconic presence. Fishermans village is one of Koh Samuis most popular areas, full of traditional buildings, homes to beach front restaurants, bars and shops. SALT is the first of its kind in the village, offering affordable apartments right next to the action. Easy walking distance to everything you could need, in a peaceful environment. SALT would make an ideal home for your holidays, long term or retirement. Stunning, individually designed villa next to hole 10 on Koh Samuis famous Santiburi Golf Course.Key features:-6 bedrooms3 x en-suite bedrooms3 x apartment suitesSun paradise windows throughoutApprox. 1,000 Sqm total built up areaSet on approx. 1.5 ai (2,400 Sqm)Large 60 Sqm salt water pool (14x4. Is this Thailands ultimate beach villa?Custom designed with all the toys you could possibly imagine! !The main house has 4 immense bedrooms, each with en-suite bathrooms, walk-in wardrobes and views out to the ocean.Fitness room which was previously featured on Million Dollar Rooms TV series, features a fully equipped gym, boxing gym, yoga corner and sauna. 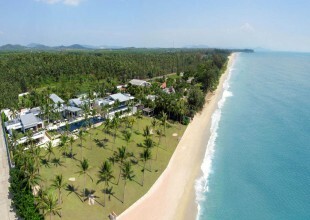 A unique development of 2 bedroom villas directly on the ocean in the North East corner of Koh Samui. The villas look over the rocks which roll down into the water and a peaceful beach just nearby.Along with the design and location, no expense has been spared in building these properties with the very best materials. Nestled in the foothills overlooking Koh Phangan and Bangrak bay is the HyLife Homes Bophut Sea view Homes development.These 2 bed private pool villas are presented in a beautiful contemporary tropical style, offering a relaxed island lifestyle just a few minutes drive from all amenities. Shopping, restaurants, nightlife and markets are just minutes from your door. 3/4 Bedroom Sea view VillasThe Project is developing sixteen villas for sale in Koh Samui, Thailand. The Villas has unobscured sea views toward Koh Phangan with a 4 minute drive to the beach and it is just 20 minutes from the airport. The view from these villas is absolutely stunning, with 180 degrees overlooking the whole of Chaweng and the nearby island of Koh Matlang.Jumeirah is a small development of exclusive villas, each built to the highest standard by an experienced developer with nearly 30 years construction history between the UK and Thailand.